The average prices of residential property across key countries across the work increased by 4.9% in the 12 months to September 2018, with Asia Pacific the strongest region, the latest global index shows. But it was the lowest annual rate of growth for Knight Frank’s global house price index, which covers 57 countries and territories worldwide, for two years. But it has increased by 41% since its low points in the second quarter of 2009. Hong Kong and Malta top the rankings with prices in both up 15.7% year on year while the United States has registered the slowest rate of year on year growth since the fourth quarter of 2016 at 5.5%. The next highest growth was a rise of 13.4% in Slovenia, followed by 11.5% in Lithuania, 10.5% in Hungary and Turkey, 9.9% in Mexico, 9.3% in the Netherlands, 8.9% in China and 8.8% in Singapore. At the other end of the index, prices fell year on year by 3.7% in Saudi Arabia, by 2.9% in Finland, by 1.4% in Sweden, by 0.7% in Israel and the Ukraine, by 0.6% in Australia, by 0.4% in Brazil, and by 0.2% in Italy. Prices were flat in Morocco. 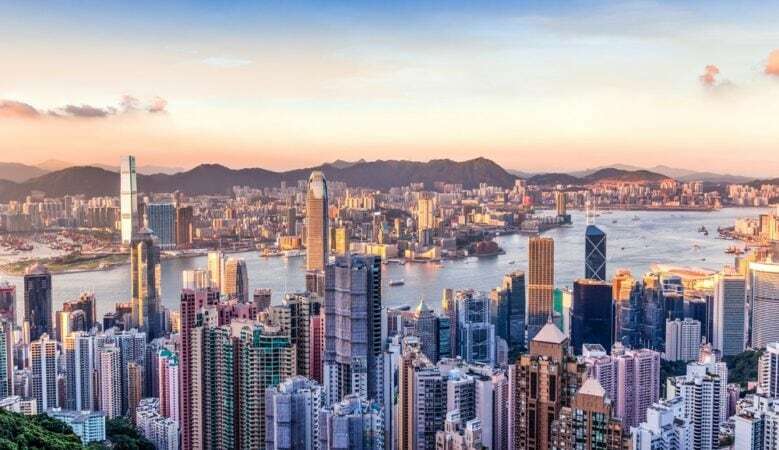 According to Liam Bailey, global head or research, the market in Hong Kong could see price growth slow in the coming months as the Hang Seng Index, which in the past has acted as a lead indicator for the property market, recently slipped 12%. ‘Add to this global trade disputes, a strengthening currency and the proposed vacancy tax for developers, we expect price growth to soften in 2019,’ he said. Of the 57 countries tracked, eight recorded annual price declines with Sweden falling into this camp for the first time in six years. It suggests that low interest rates and strong population growth fuelled price inflation for several years before a surge in the delivery of new apartments and tighter lending rules saw a reversal in price movements. Only two years ago prices were rising at 11% per annum. Central and Eastern Europe (CEE) is an area of growth, with its countries accounting for three of the top 10 rankings in the third quarter of 2018. CEE economies on average registered a 7.6% price rise, whilst Western Europe recorded an average of 4.3% growth year on year. Slovenia, Lithuania and Hungary all recorded double-digit price growth in the year to September 2018. Rising wages and greater access to mortgage finance are pushing prices higher, according to the report. Mexico is the strongest performer in Latin America with prices up 9.9% on average. Consumer sentiment is rising on the back of a strengthening economy and supply remains constrained. New Zealand, where a ban on non-residents purchasing existing homes came into force in July, saw annual price growth decline from 6.6% to 4.9% over the three months from June to September. High rates of net migration combined with limited new supply is expected to halt a slide into negative territory, the report says. The US registered its slowest rate of annual growth since the final quarter of 2016. Higher mortgage rates on the back of eight rate rises since late 2015 has led to affordability constraints. Sales of existing homes have fallen 9.3% while housing starts have declined 8.7% since November 2017.